Muir Woods National Park Service is a National Monument of California. Muir Woods is also part of the Golden Gate National Parks Conservatory. Hiking up hill in the redwood forest left me speechless, partly due to the fact that I was hiking steep terrain, and partially because of the beautiful giant redwood and sequoia trees (which are hundreds of years old) that surrounded me. The tallest tree resides in the Bohemian and Cathedral groves standing at over 252 feet tall. The widest tree is over 14 feet wide. 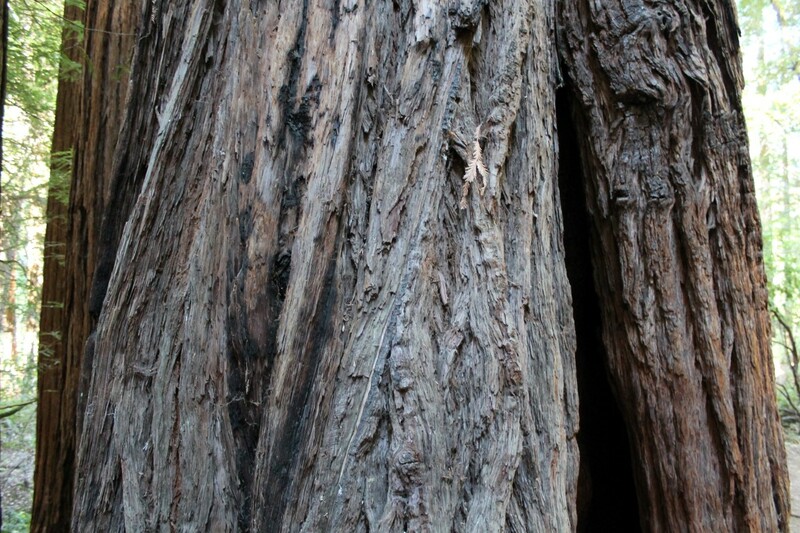 Some redwoods are at least 1,000 years old; most mature trees are 500 to 800 years old. Now you can imagine why I was left speechless. This entry was posted in California, USA and tagged adventure, bucketlist, California, experiences, Hiking, Muir Woods, Northern Califronia, San Francisco, Travel, Turquoise Compass, USA by Turquoise Compass. Bookmark the permalink. It was beyond words! I have seen similar trees in British Columbia on Vancouver Island, but there was something eerie and beautiful about the muir woods forest. Almost as if the trees were holding secrets! So much history there. I have never been and now I am jealous. It is a must see destination! Truly amazing. I see lots of young moms hiking with their child strapped on! I also see parents taking turns carrying the chid! It would be extra effort, but an idea for you. It is exciting to get them hiking young so they grow to have a love for hiking. You guys will have so much fun hiking together! Oh great idea! He might be ready to start on a little hike. Yes, it was pretty incredible! I love hiking, but I don’t get to do it as much as I’d like!